I showed you a bit of my boy the king bob-bomb before. 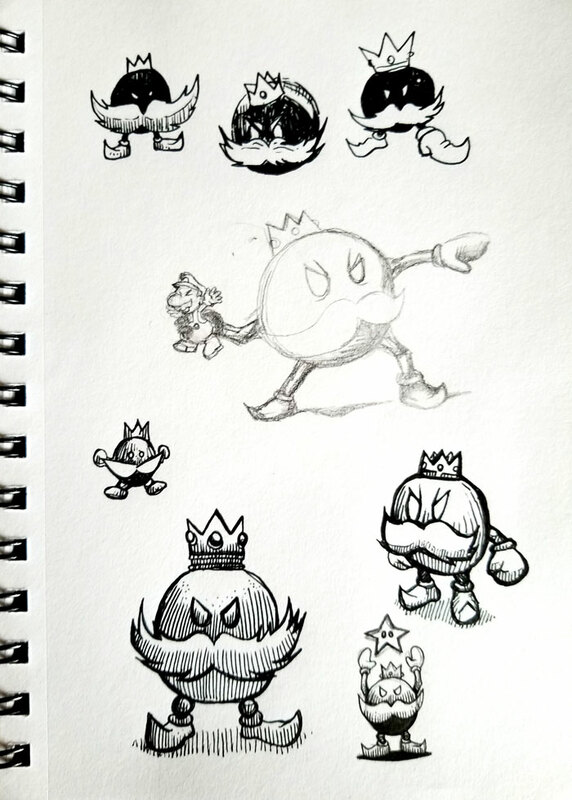 Here’s some more sketches from that page. Like I said, I’m on a mario kick. Got a new phone so maybe the sketchbook pictures will be better now? HOPEFULLY!